DC Universe’s newest hero is bound to be a star. In what will give the just-launched DC Universe its first live action female-fronted superhero show, actress Brec Bassinger has been cast in the title role of Stargirl in the upcoming series based on the staff-wielding character. 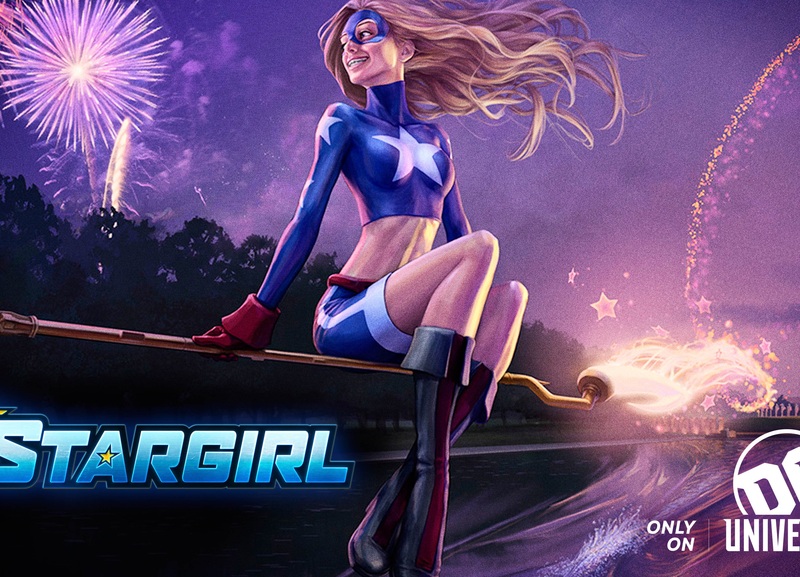 Announced at San Diego Comic-Con this summer, Stargirl will be the DC Universe’s sixth original series. Courtney Whitmore made her first appearance in 1999’s STARS AND S.T.R.I.P.E. #0 in an origin story that sounds pretty similar to the one described on the show. In the comics, Courtney is the stepdaughter of Pat Dugan, who was the former sidekick of youthful hero the Star-Spangled Kid. After Courtney finds the Kid’s costume among her stepfather’s things, she decides to start wearing it, becoming the second Star-Spangled Kid. However, she soon evolves into Stargirl after being given Starman’s cosmic staff. Bassinger is probably best known for her role in the television series based on the movie School of Rock, though she’s also recently appeared in the Hulu original series, All Night, and had a regular role earlier in her career on the Nickelodeon series, Bella and the Bulldogs. She also appeared as Zoe McIntosh in two episodes of The Goldbergs. Interestingly, for a hero who isn’t as widely known as Wonder Woman, Supergirl, Catwoman, Harley Quinn or many of DC ‘s other female characters, Stargirl has had quite a life outside comics. She’s appeared twice before in live action TV, first embodied by Britt Irvin in Smallville and most recently in DC’s Legends of Tomorrow, where she was played by Sarah Grey. In addition, she’s been seen on Justice League Unlimited and Justice League Action, voiced by Giselle Loren and Natalie Lander. Still, with a new self-titled series on its way and brought to life by a talented young actress like Bassinger, it’s clear that Courtney’s star is very much on the rise. What do you think about the Stargirl casting? Who would you like to see Courtney battle in the first season? Share all your thoughts down below in the comments!